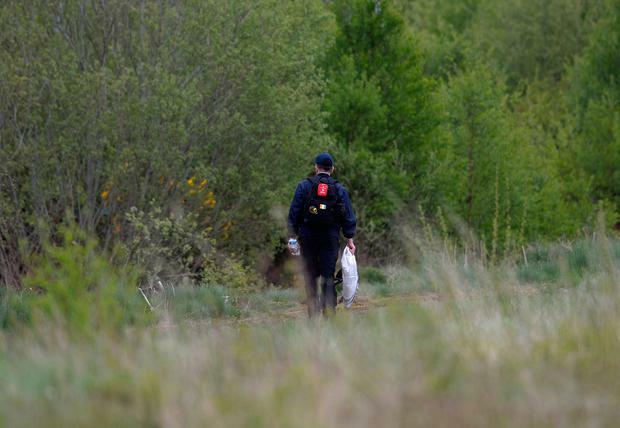 The plane which crashed in Offaly on Sunday, killing the pilot and a young seven-year-old boy nosedived straight into a forest and submerged itself around 15 feet deep into bogland, a witness has said. The man, who was later involved in the recovery operation, said the terrain in which the Cessna Caravan aircraft crashed is remote, boggy, forested and difficult. "I saw the plane going by at around ten past two, it had dropped off the parachutists, and I think the pilot was taking the little lad for a spin when something went wrong," the man told Independent.ie. "Then I got a call later asking me about a plane crash. Another man who was out working said he saw it fall straight down with the engine roaring, and it hit the bog with a thump. There were no flames, and no explosion, it just went straight down into the bog," he said. On arriving at the scene at around 4pm, the man said one wing had been sheared off by the trees, and several trees had to be cut down to access the wreckage. "The bog had sucked it down. It was around 12 to 15 feet deep in the bog with only the tail of it visible. We were trying to pull it out with chains but they were cutting through it. I couldn't believe how light the material is in these planes," he said. "We were working in it until around 11 o'clock before we reached the two lads. They were in the cockpit. I'm very shook after it," he explained. The man said that he had heard that the father of the child had arrived at the scene and was very distressed. The plane was eventually pulled out of the bog and is now in about three sections. 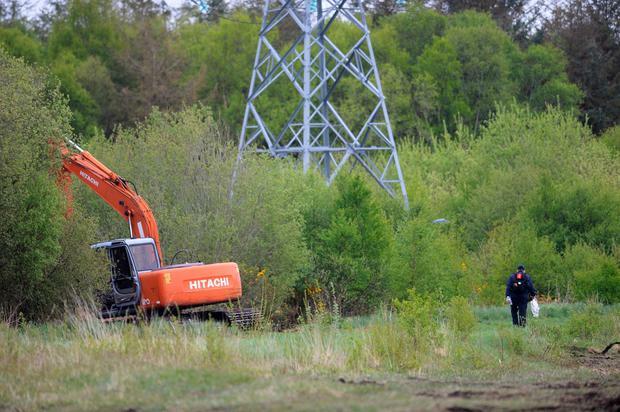 Members of the Air Accident Investigation Unit are on the scene continuing their investigations, and it is expected it will be some time before the wreckage is removed for further examination. 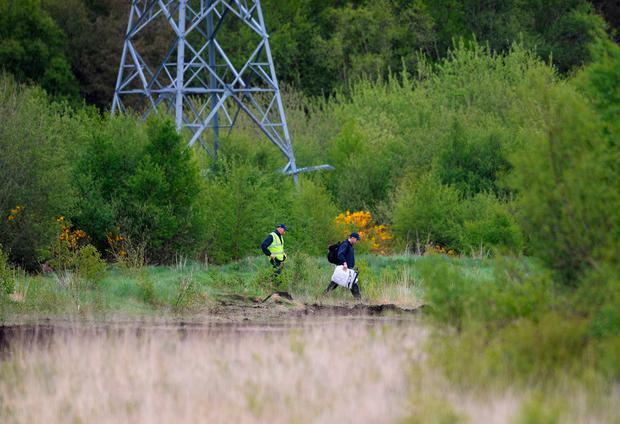 The bodies were recovered from the wreckage in isolated bogland in Co Offaly just before darkness fell about 10pm last night. The boy is understood to be the son of a member of the local parachute club, while the pilot is understood to be originally from the UK. The plane had taken off from the Clonbullogue Airfield, near Edenderry, shortly before 2.30pm. It was carrying 16 parachutists, who all made their jumps safely. However, a short time later the plane was seen flying low to the ground before there was a "terrible roar" and it crashed "straight down like a torpedo". Local man Jimmy Slattery, who lives near the parachute club, said he was out walking his dog and saw the plane take off from the airfield. "I've seen them thousands of times," he said. He thought nothing was unusual except the plane seemed to be flying very close to the ground, he said. "I thought he was doing a stunt but I thought he was leaving it very late to turn around. But I knew it (the plane) was in the wrong area. And when it hit the tree line, the tail moved and I knew there was something wrong. "Then I heard a terrible roaring and it went straight down. That roar will live with me for a while." Mr Slattery immediately rang 999 and the parachute club to let them know the location of the crash site. An Irish Parachute Club member told Independent.ie "It's an absolutely tragic situation, everybody is just in complete and utter shock." 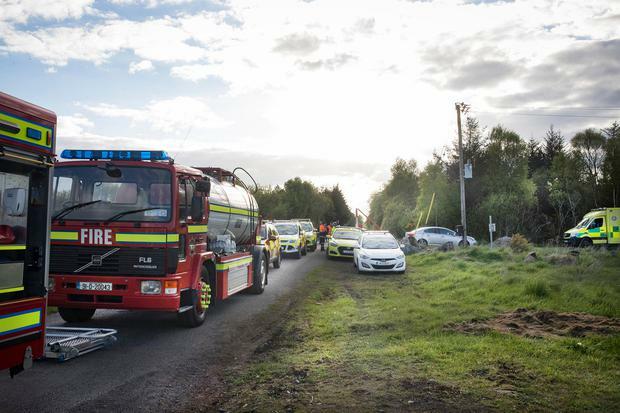 A group of local residents had gathered about 2km near the crash site where local ambulance, gardaí and Civil Defence personnel set up a staging area to respond to the incident. 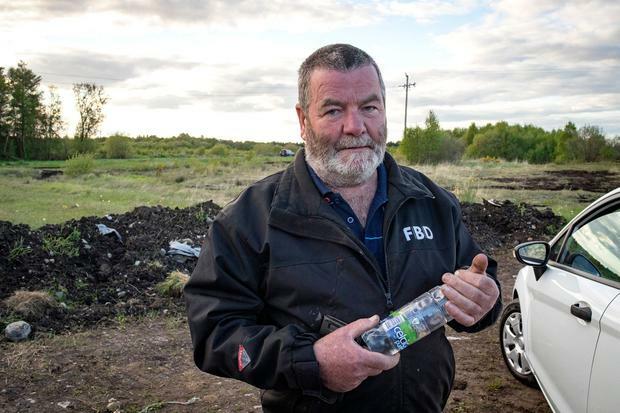 Local resident Declan Burns (49) said he understood the plane had just dropped off the parachutists and was heading back to the airfield when something went terribly wrong and the plane "just nose-dived". "You hear planes up there every day but you never think something like this would happen," he said. Local councillor Noel Cribbin said the accident was the first of its kind in recent memory. "The club is very long-standing in the area and very well run," he said. "This time of year, there are planes flying seven days a week," he said. "Thankfully, the 16 (parachutists) got out and our thoughts and prayers are with those in the plane." Sinn Fein Councillor Martin O'Reilly echoed these sentiments as he said everyone in the area is stunned by the tragic news. He said: "It's shocking and under such circumstances, the parachute club is there years and there has never been an incident like this. "It seemed to have been such a routine flight, parachute jumps happen there every weekend for various reasons, you always see planes flying overhead. "When we got word about what had happened at around 7pm last night that the individuals on board would be okay and if they were hurt that they wouldn't be seriously so, unfortunately that didn't transpire to be." He continued to say that his thought are with those afected. "I would like to express my condolences to the families of the two people who lost their lives, to the parachute club as well, as I know they run a very high standard, professional organisation. "It's also worth noting that since a young boy has died there is a primary school opening their doors this morning and a member of their school network has died," Cllr O'Reilly said. Fine Gael Cllr Liam Quinn called the tragedy "a very black day for Offaly." He said: "After news like this it's a very black day for county Offaly - I'd like to extend my sympathies to the families and our thought are also with the members of the parachute club. "There's going to be a local primary school with one less pupil and that's just absolutely tragic, it's very sad." Local councillor Eddie Fitzpatrick said the airfield had a long-established reputation for parachuting. "People would be over there all the time, especially at weekends in the summer, a lot of people parachuting and a lot of fundraising jumpers." He added: "It's a great shock to hear of an accident like that happening." Fellow Offaly councillor Noel Cribbin said: "This is a big shock to the area. "These flights have been happening for the last 20 years and this is the first time I've heard of a plane going down; it is very worrying." 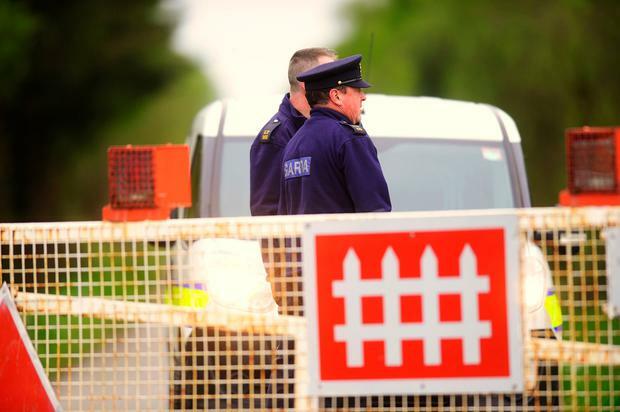 A spokesman for the Irish Parachute Club said in a statement released to Independent.ie: "The Irish Parachute Club can confirm that an earlier reported incident involving an aircraft operating on behalf of the Irish Parachute Club has resulted in the deaths of both occupants. "At this time the Air Accident Investigation Unite are continuing with their investigation. "I would ask for privacy for the families of the deceased, who remain in our thoughts and prayers."